Things are changing for the river and for canals. Here's why. Last month, the Source Weekly published a story illustrating community concerns about the effects of irrigation improvements on groundwater levels and private wells. 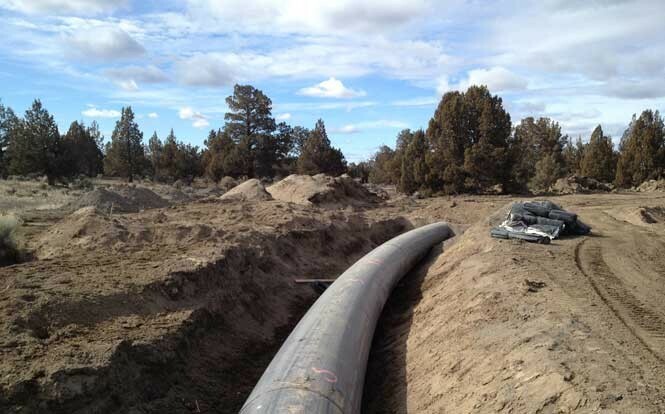 Piping canals has been a controversial topic in Central Oregon over the past several years. For many decades, these canals have been part of the landscape, winding their way through our dry high desert lands. The operation of these canals brings water to crops and animals, but they come at great cost to the river. The Deschutes River Conservancy has been partnering with basin stakeholders to restore streamflow and improve water quality in the Deschutes River and its tributaries for more than 20 years. Through partnerships with irrigation districts, we have been very successful in using water conservation projects, like piping, to protect over 121 cubic feet per second of flow instream in the Deschutes River and its tributaries. To make this more visual, that's the equivalent of 54,308 gallons PER MINUTE that are restored to our local rivers and streams! Why is this type of work necessary? Every spring, when irrigation canals turn on, flows in the Middle Deschutes (downstream from the irrigation diversions) drop by 88 percent. This decrease in flows raises temperatures in this reach of the river that become detrimental for native fish populations. Then in the fall, the flows in the Upper Deschutes (for the first 40 miles below Wickiup Dam) drop by as much as 90 percent as water is stored in Wickiup Reservoir over the winter to supply enough flow for the following summer's irrigation needs. 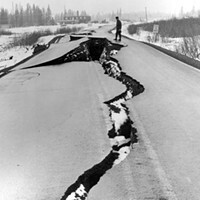 This dramatic fluctuation in the river has damaged the function of the watershed. 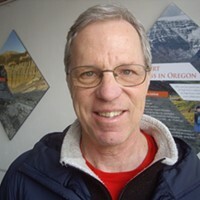 Central Oregon's aging canal system can be compared to leaking pipes in a home. Laboriously dug into lava rock over 100 years ago, these canals leak up to 50 percent of the water they carry making it necessary to divert more water than is actually needed for irrigation use. When we pipe a canal, these seepage losses are no longer diverted from the river, but are protected instream, greatly benefitting the natural ecosystem of the river. We empathize with people's concerns about piping canals and the consequences of doing so, but we also want our community to recognize the immense importance of restoring a river that brings life to our region. 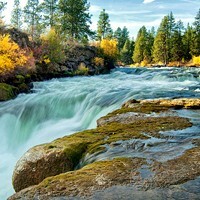 The river needs our help and these projects are one of the best ways to restore flows to our beloved Deschutes River. The DRC is dedicated to river restoration while addressing the needs of the local agricultural community. The direct effects of piping, climate change and groundwater pumping on our aquifer are very complex and are best answered by scientists who specialize in this field. If you are interested in learning more about our region's groundwater resources please contact the Oregon Water Resources Department or the U.S. Geological Survey.